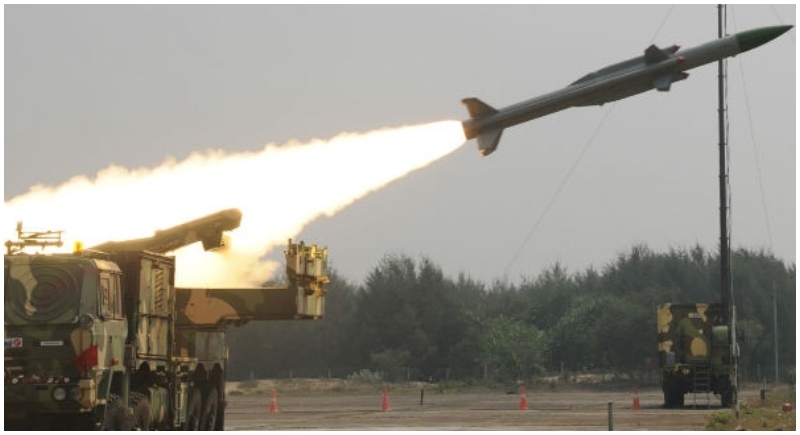 New Delhi, February 1: Moving swiftly towards strengthening and levelling up the defence capabilities, Indian Navy and Israel Aerospace Industry (IAI) announced that it had entered into agreements worth $93 million for providing Naval Medium Range Surface-to-Air Missile (MRSAM) systems to India. The IAI has entered the contracts for the air defence system (ADS) with the Cochin Shipyard and the Indian navy. The MRSAM family is an operational air defence system used by Israel's navy as well as by India's naval, air and ground forces. In a statement issued by IAI, it stated that Israel Aerospace Industries (IAI) announced it has entered this week agreements worth $93 million for provision of Naval MRSAM (Medium Range Surface-to-Air Missile) systems. The contracts were entered with the Indian Navy and Cochin Shipyard Limited (CSL). IAI will also provide complementary systems for the air defence system as part of the agreement. “They involve follow up orders for a range of maintenance and other services for various sub-systems of IAI’s advanced MRSAM ADS,” said IAI. The Indian navy, in collaboration with IAI, held an interception test aboard INS Chennai, which assessed for the first-time potential collaboration between ships. The interception scenario, which was executed successfully, demonstrated how the operational force of the defence system can be doubled regionally, rather than topically.